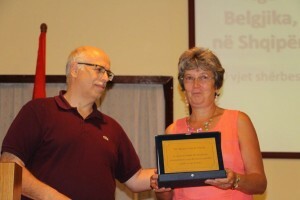 In August 1995 Marleen van de Voorde exchanged her Belgium for Albania. Now, twenty years later, she looks back on her time in Albania. She experienced a lot of highs and lows, but her trust in God gave her strength to persevere and continue. This is an interview with an enthusiastic person. always called, helpful, trusting and reliable, easy going, fantastic, doesn’t see borders as obstacles, hard worker, works with whole heart, Jesus follower, can say hard things with a smile, sometimes driven, little fear, loving, irreplaceable, single, strong yet compassionate, has vision without fear, Flemish Albanian, seeks what’s right and yet is merciful and caring. 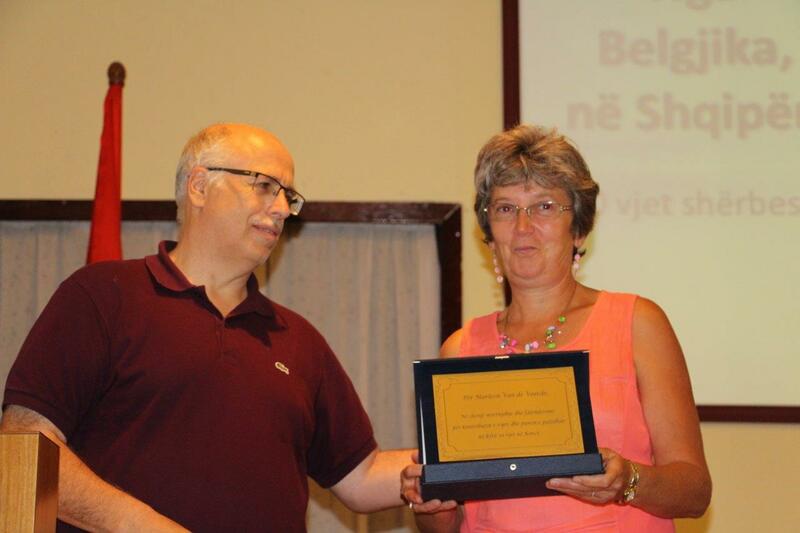 Ian Loring, the president of the Kenedi Foundation, gives Marleen a honoration award.